For more than two decades, this perennial exhibition has reminded us that art making is for everyone and that art can play a healing role in our lives. 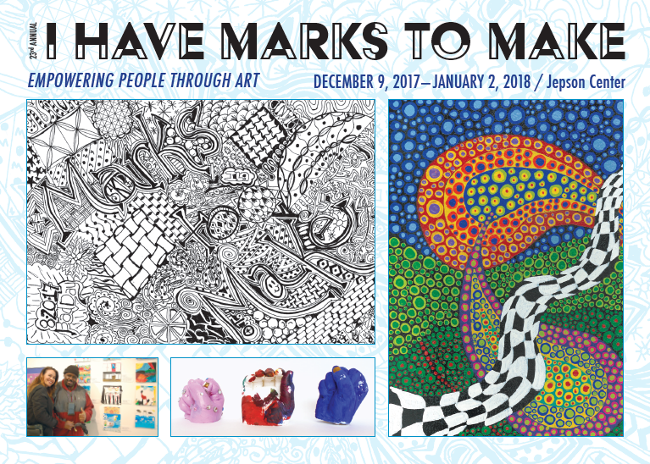 I Have Marks to Make is an exhibition celebrating the therapeutic and rehabilitative aspects of art. The exhibition features work by participants of all ages from Telfair’s outreach to local organizations and from community partners. Partners: Rehabilitation Hospital of Savannah; Coastal Center for Developmental Services, Inc.; St. Joseph’s/Candler Rehabilitation; Savannah-Chatham County Public Schools Department for Exceptional Children; the City of Savannah’s Therapeutics program; Savannah Speech and Hearing Center Stroke Survivors’ Group; the Savannah Center for Blind and Low Vision,Inc. ; Department of Veterans Affairs Savannah Primary Care Clinic; Goodwill’s ADVANCE Acquired Brain Injury Rehabilitation Program; Park Place Outreach Inc.; and Ruth Byck Adult Daytime Care. Full Moon Yoga at West Elm! Dancing Dogs and West Elm have partnered and this Wednesday, May 10th from 7:30-8:30pm under the full moon they are offering a yoga class (suggested donation $10). A portion benefits Savannah Speech and Hearing Center! Bring your mat downtown to West Elm! Animal Advocacy, Arts & Culture, Education, Environment, and Human Services. The Herschel V. Jenkins Volunteer of the Year Award will be selected from the overall winners in those five categories. The winner’s non-profit organization will be awarded $1,000 in honor of the winner. A wonderful group of students from Armstrong State University were nominated for volunteering with the children at Sound Start. Ann Curry-Volunteer Coordinator, who was nominated for Volunteer Administration. We are honored to be nominated for these awards and to proudly represent Savannah Speech and Hearing. Pictured are Ann Curry, Shelbie Deaton, a student volunteer at ASU and Tracy Edenfield, Program Director at Sound Start. 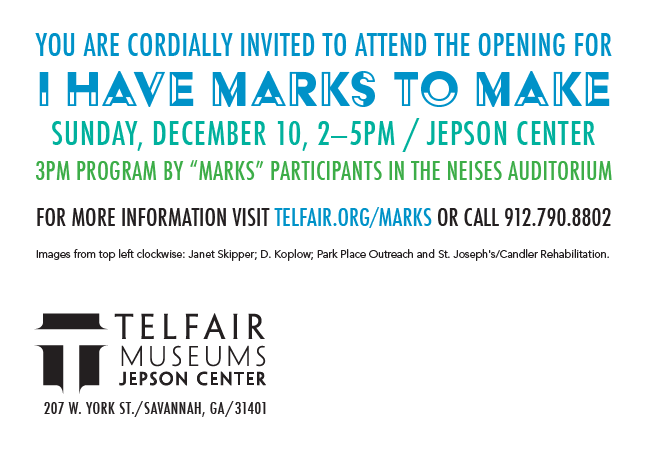 The SSHC Stroke Group has about 20 pieces in the ‘I HAVE MARKS TO MAKE’ Art Exhibit at the Telfair Museums’ Jepson Center in Savannah. 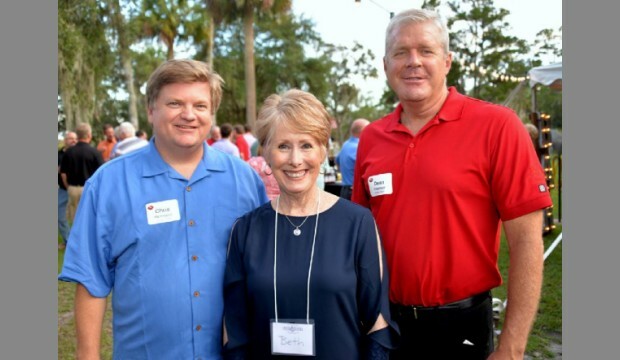 The 35th annual Hammond for Hope Dinner and Auction to benefit the Savannah Speech & Hearing Center’s Sound Start School was held at Hope Point Plantation on Sept. 18. The article below was published in the Savannah Morning News from columnist Bunny Ware (Bunny in the City). WHAT: Nada Normal Yoga Workshop to Benefit Sound Start. The Savannah community is invited to come experience how your sonic environment can create harmony or discord in your life and explore opportunities to retune your body and mind awareness at a special all-levels yoga workshop. Proceeds will benefit the Sound Start program of Savannah Speech and Hearing Center, an auditory and oral preschool for children experiencing hearing loss in Savannah and the surrounding communities of Georgia and South Carolina. WHEN: Saturday, September 17, 2016 – 4-6 p.m.
MORE: To sign up and for more information, email abowers.sound@gmail.com.